Mary Ann Behr passed away on Saturday morning November 17, 2018. She was 95 years old and had lived in Portland Oregon the majority of her life. She was born in Portland at St. Vincent's Hospital in February, 1923. She was the only child of Frank W Barton and Marie Barton (Lena Carsoule), who met during World War I and were married shortly thereafter. Mary Ann attended Portland area schools graduating from Grant High School in 1940. 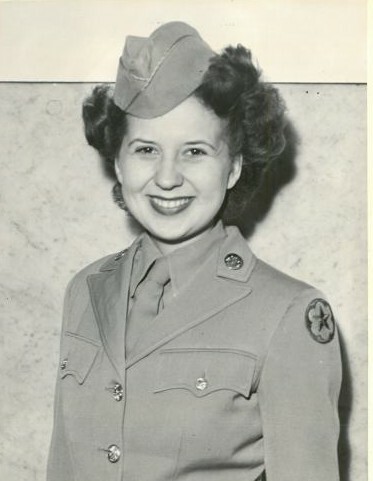 She was fiercely patriotic and joined the army during World War II. She honorably served for nearly two years, spending most of her time in the Chemical Warfare Unit at Edgewood Arsenal in Maryland. Her business career was long and varied including jobs as an Administrative Assistant, Librarian, Insurance Risk Analyst. She spent the last 20 years of her career working at US Bancorp in Portland and retired in 1989. She was an avid reader, an art lover and sometimes artist, an ardent cat lover and enjoyed traveling in her later years. She was both loyal to her family and friends and strongly independent. She is survived by her son, Peter, and daughter, Jennifer, as well as her Grandchildren, Andrew Behr and Heidi Thibodeau. She also leaves behind four great grandchildren, Anthony Hedlind, Alexander and Jessie Whiteley, and Carissa Hawes. She will be missed by all those who knew and dealt with her.